It seems that the more we hear about pending plans for Disney’s Hollywood Studios, the more questions come to the surface. There’s going to be new lands, new attractions, new dining, and new immersive experiences. Guests are expected to flock to the park by the thousands. Still, though, I can’t help myself but wondering: how is this all going to work? It seems that Disney is jig-sawing together a puzzle using pieces from different boxes. With rumors of a new park name surfacing, it leads to even more confusion that has me honestly wondering if the company can really pull this together. When guests enter Disney’s Hollywood Studios, they immediately find themselves on Hollywood Boulevard, the park’s main street that is populated by modern architecture and neon art deco while still boasting a 1930s Hollywood feel. There are stores like Keystone Clothiers and restaurants like The Hollywood Brown Derby. The Citizens of Hollywood – starlets, gossips, and even detectives – stroll from corner to corner entertaining all. 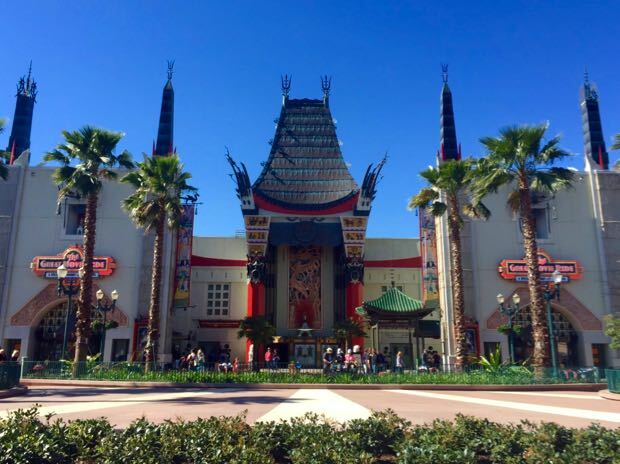 The Boulevard leads to an impressive replica of the iconic Mann’s Chinese Theater, formerly home to The Great Movie Ride, which journeyed through some of the silver screen’s most memorable scenes. The attraction’s closing in mid-August caused quite a bit of controversy and what it’s being replace with is far from staying true to theme. Mickey & Minnie’s Runaway Railway is already under construction inside the Theater. Last week, pictures surfaced on the Net showing portions of the building being gutted and classic artifacts being removed. 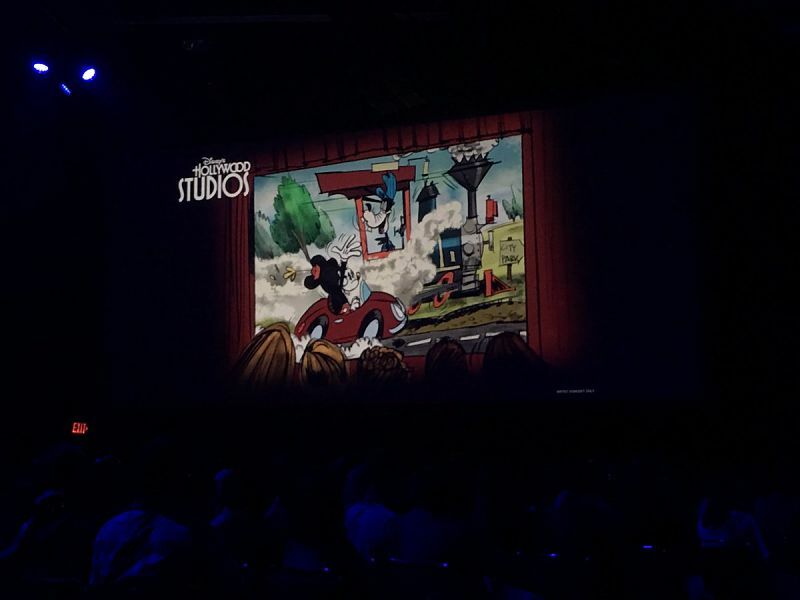 The new attraction will place guests into an original cartoon short featuring Mickey and his bubbly sidekick, Minnie, as they adventure in a wacky and unpredictable world peppered with surprises. In fact, Imagineer Kevin Rafferty recently announced at D23 that the attraction would contain more “Hidden Mickeys” than found in any other theme park in the world. Excited? Definitely! This is Mickey’s first attraction ever, and it certainly is about time. Confused? A little. Housing a single cartoon short in such a revered space as the Chinese Theater is a bit of a stretch. Don’t get me wrong; I love the cartoons and Mickey himself but this feels off. I’d expect something more here…something that would honor multiple films – the great movies of our cinematic history…something like, well, The Great Movie Ride? Let’s move on. The left side of Disney’s Hollywood Studios is where the majority of the updates will be taking place. 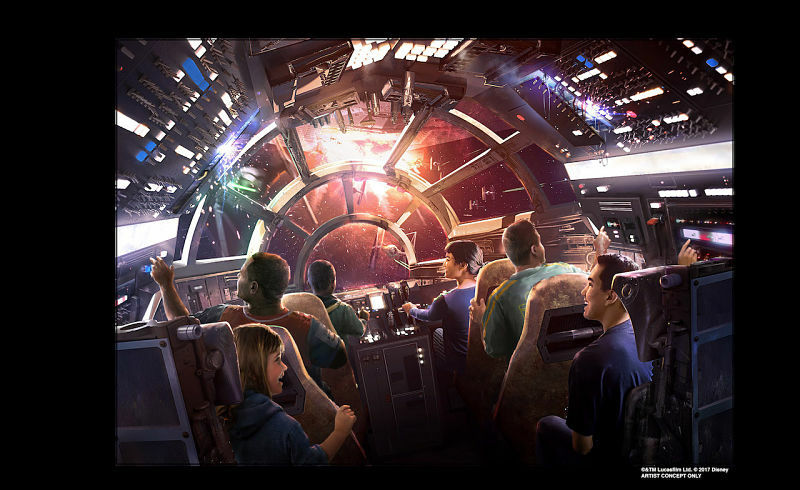 This includes the massive and highly anticipated Star Wars: Galaxy’s Edge, a themed land centered around the Star Wars franchise. Surrounded by impressive rock formations, buildings, and intriguing pathways, guests will mingle with Star Wars characters and even pilot the infamous Millennium Falcon. Dining experiences are also slated for opening, and one can be sure to expect multiple merchandise opportunities. So, when considering the overall park theme, we travel from classic Hollywood to…outer space? I’m sure this area is going to be successful. Star Wars has a tremendous following, but again, is there enough cohesion when one is walking from location to location? When you consider the layout for Epcot, for example, Future World leads to World Showcase over time. There is a long walkway that ends at a lagoon; once you come closer to the water, you begin traveling throughout the various countries. At Studios, however, I’m not seeing that same connectivity which causes concern. This brings me to the next upcoming land. I will admit that I am most excited for this area of the park. 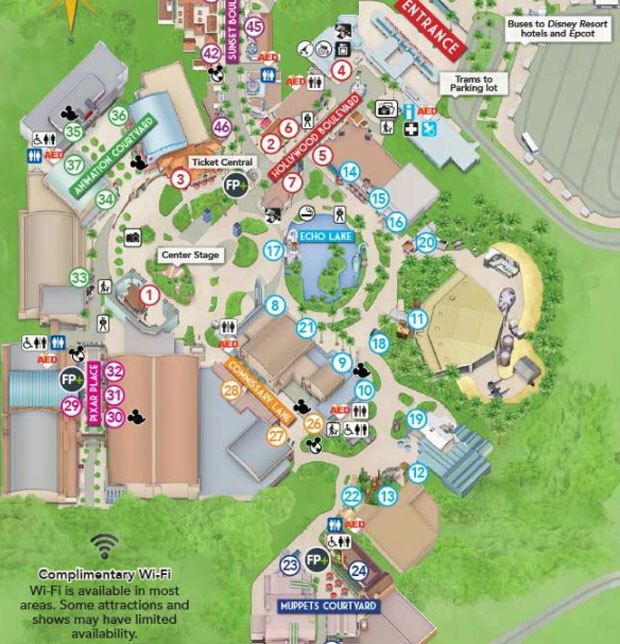 Here, guests will be shrunk down to the size of a toy and explore Andy’s backyard that is filled with his favorites: Lincoln Logs, Tinkertoy sets, game boards, dominoes, checkers, and other classic amusements. While Andy and his family are away, we get to enjoy it all! 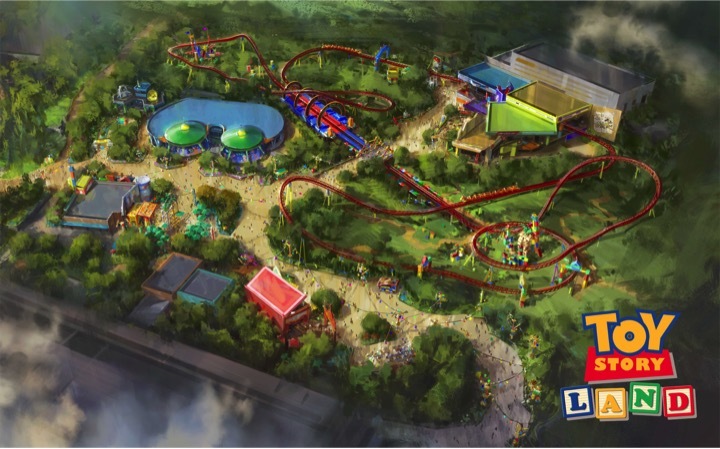 This includes a ride on Slinky Dog Dash, the new family-friendly rollercoaster, and Alien Swirling Saucers, designed after a play set Andy got at Pizza Planet. Couple this with traveling characters like Buzz Lightyear, Woody, Rex, Jesse, and green army men, this very immersive land is sure to bring a smile to everyone’s face. Excellent! This is going to be a wonderful area to visit. But, here again, I struggle with how it will flow with the rest of the park. Classic Hollywood, outer space with Star Wars, and now Andy’s backyard? How will Disney pull it all together? 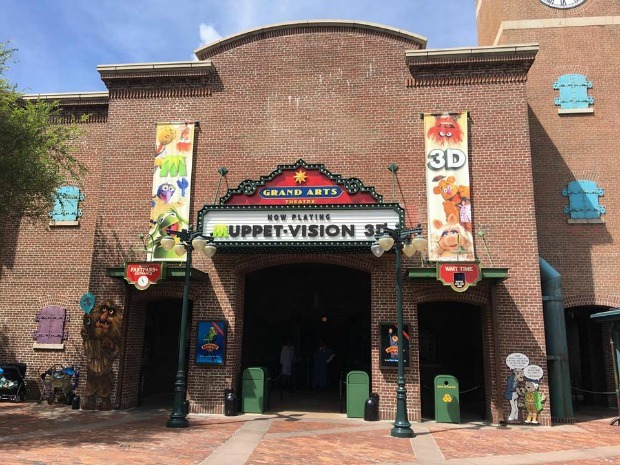 Nestled between Star Wars: Galaxy’s Edge and Toy Story Land will be a partially re-imagined area known as Grand Avenue. Combining a rescued portion of the demolished Streets of America with the current space known as Muppets Courtyard, Grand Avenue will create a location themed to present-day Downtown Los Angeles complete its own corner pub, Baseline Tap House. Guests will enjoy a variety of California craft ales, lagers, and ciders as well as wines and specialty cocktails; small bites such as Bavarian pretzels and charcuterie boards will also be available. The lack of fluidity in this area alone has me raising eyebrows. We will be in Downtown LA drinking beer and entertained by Kermit, Miss Piggy, and friends? Unless there’s a bitter Imagineer out there who is flagging karma by designing an ingenious way to mock Los Angeles’ eclectic population, there definitely is an issue here. Surely there is someone that sees all of this problematic, right? While all of these names make me cringe, they do prove my point: Disney is at a standstill. What was once to be a working animation studio and back lot experience celebrating the movies, is now a hodgepodge of ideas struggling to find its identity. Maybe that is where “Kaleidoscope Park” came from. Overall, Disney has quite a bit of work to do if the new Hollywood Studios is going to take off, and I am not referring to construction. When considering the points mentioned above, there needs to be a way to bring everything together. Mind you, I have not even mentioned the inclusion of The Twilight Zone Tower of Terror, A “Frozen” Sing-Along Celebration, Rock ‘n’ Roller Coaster, and the like, which are already fan favorites that will remain in the park. While I remain optimistic, I am concerned that Disney might have its work cut out for it here especially when you consider the cohesive struggles Disney California Adventure has experienced over the years. Hopefully lessons have been learned and plans are in place to help bridge the themes of the various lands before Disney Hollywood Studios becomes the mismatched park of wonder. In Your Imagination: A Love Letter to Disney World’s Fantasmic! Don’t Wait, Star Wars Fans!